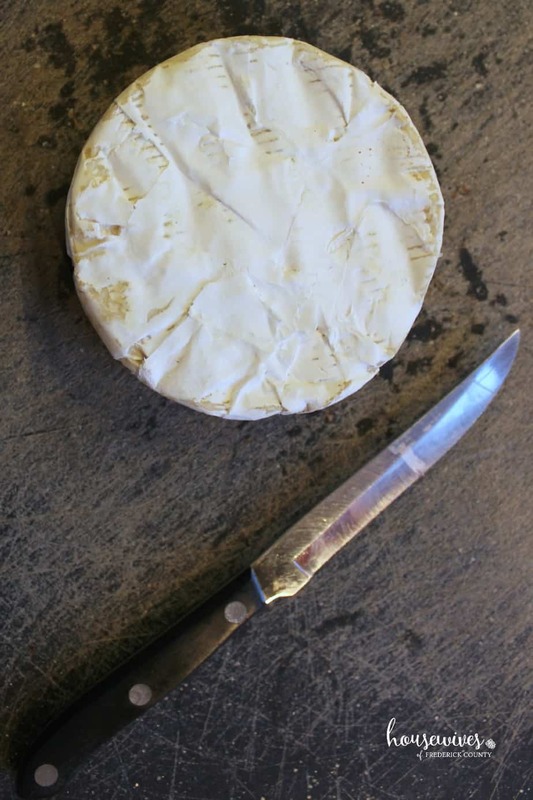 I was first introduced to brie cheese by my stepmother many years ago. She’s always been ahead of her time whenever it comes to good eats. She and my Dad traveled to Europe several times back in the day. Every time they came back from a trip, they came back more cultured than before. AND my stepmother would have more recipes to try out on us kids. One of her tried and true recipes is a baked wheel of brie, usually with slivered almonds on top. Serve it with a plate of crackers and it’s heaven! I have loved brie cheese ever since. 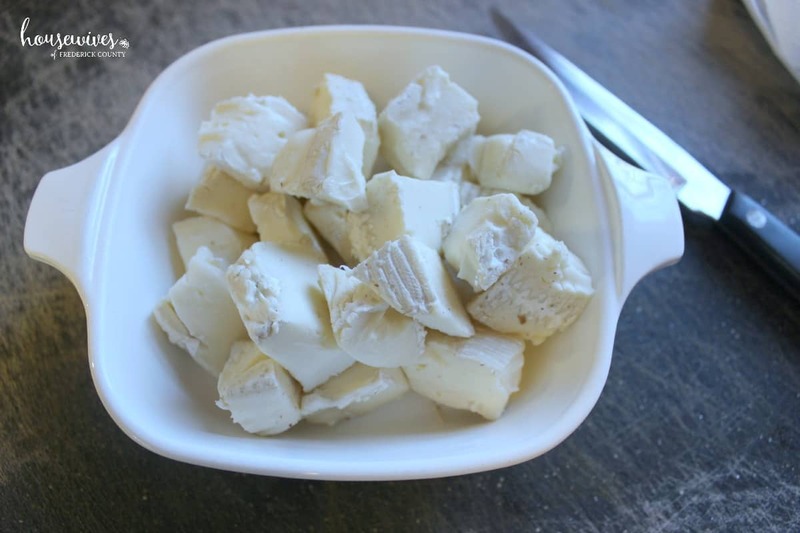 I decided to make a brie cheese appetizer recipe that could be eaten in small bites. Small bites as appetizers seem to be really popular these days. No cheese knives or crackers involved. Just the brie cheese & toppings in their own tasty vessel, ready to grab and eat. There are only 6 ingredients to this recipe. 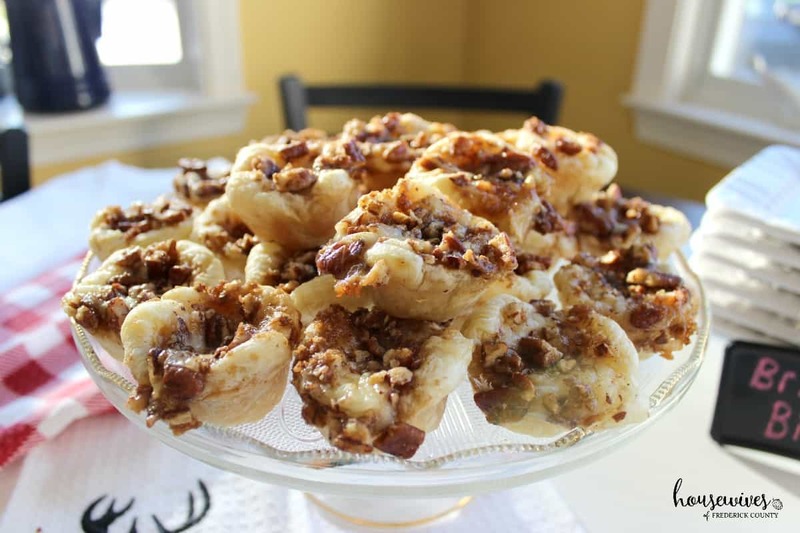 Brie cheese, butter, pecans, cinnamon, pastry shells, & brown sugar. Spray mini muffin pan (24 mini muffins) with cooking spray. In a small saucepan, melt butter over medium heat and add the chopped pecans. Cook 2 to 3 minutes or until the pecans are toasted. Add the cinnamon and stir. Remove from heat and set aside. 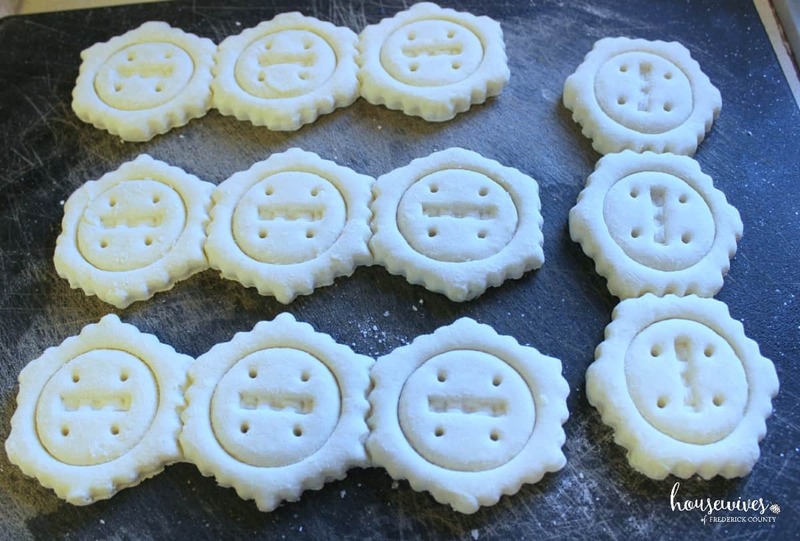 Remove pastry shells and cut each shell in half. You will end up with 24 halves. Roll each half shell in your hands in the shape of a ball. Flatten each ball with your palms and press into each hole of the muffin pan to make a small pie shell. Place 1 piece of brie cheese into each mini pie shell. Add the brown sugar to the cooled pecan mixture and mix well. 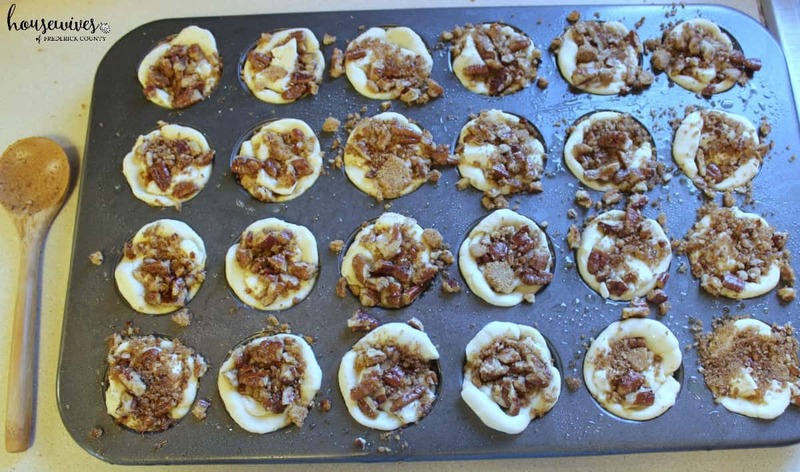 Sprinkle pecan mixture evenly over all 24 mini pie shells. 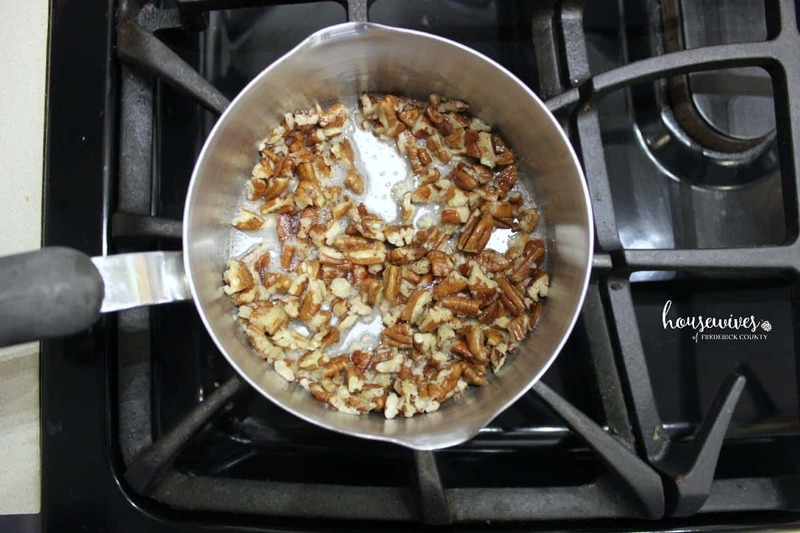 Press the tops with the back of a spoon so that the pecans cook into the melted cheese. Bake for about 15 minutes or until pastry shells are golden brown. The prep time took a little bit longer than I expected. 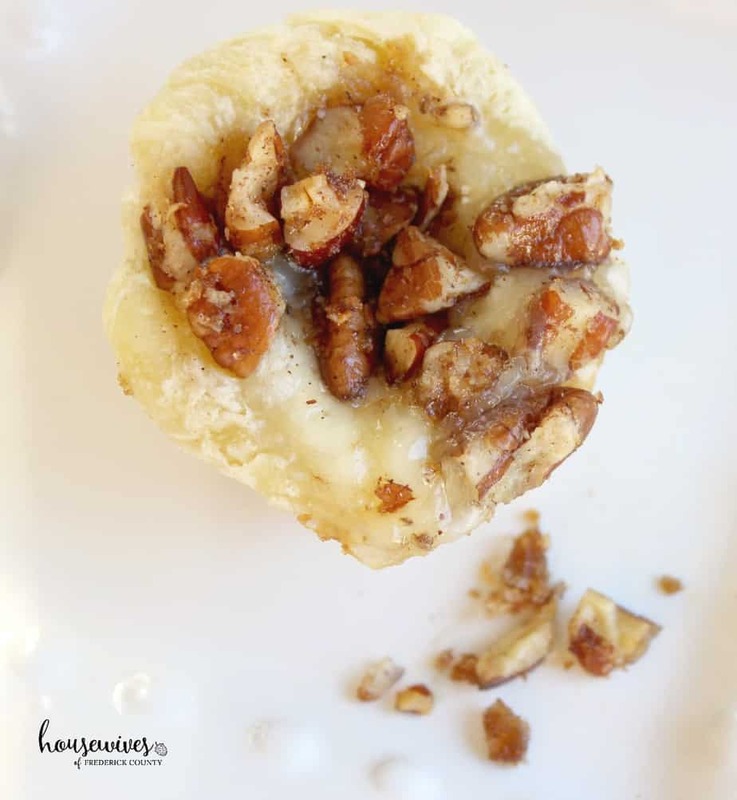 From the cook’s standpoint, just adding toppings to a wheel of brie and popping it in the oven is MUCH easier and quicker than preparing these bites. However, from the eater’s standpoint, having it in bite form is so much easier and quicker and you don’t need to be hogging the appetizer table trying to get enough brie on your cracker. Make sure to serve these brie bites right out of the oven while they’re still hot. They’re much tastier that way. Once they cool off, you don’t get that melted brie heavenly mouthful anymore. As you can see from my photos, I could have probably left mine in the oven about 5 minutes longer. I also think that you could use just one box of the pastry shells and cut each shell into 4 pieces to make them thinner and crispier. 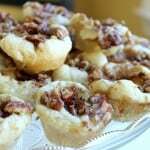 The toasted pecans mixed with brown sugar and cinnamon was absolutely delicious with the melted brie cheese and crispy pastry shell. 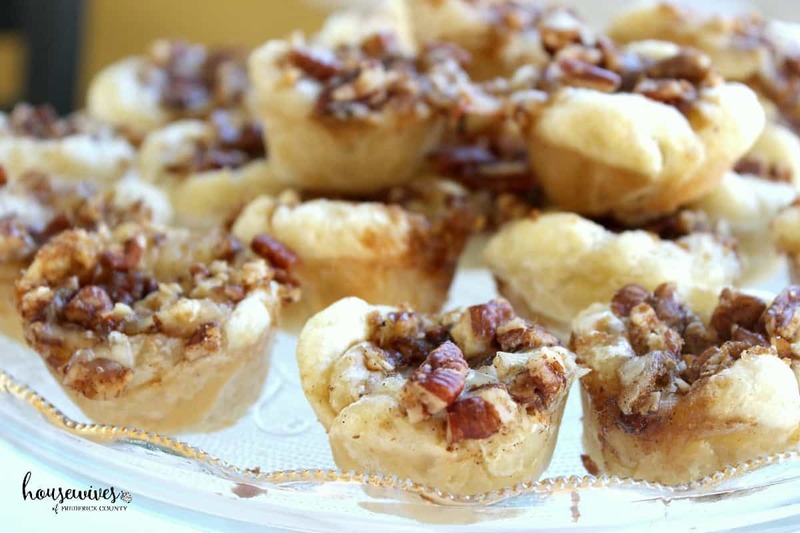 They’re great for family gatherings, the holidays, and wine parties. And you, the cook, will look so very sophisticated for serving it! 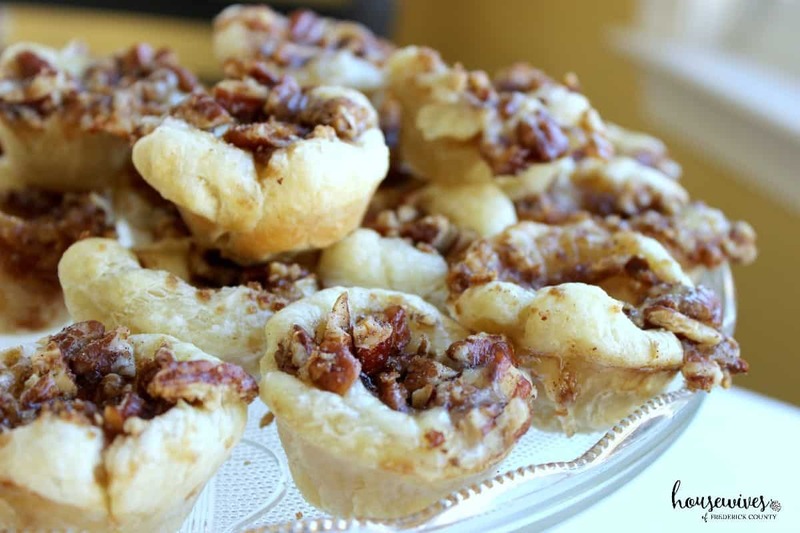 What is your favorite appetizer bite to make for get-togethers? How come we weren’t around when you made these? What’s up with that??? Those look good. Thank you Kenneth! I have some leftovers if you’d like some! I’m so glad you remember those times “back in the day;” it means so much to me!!! 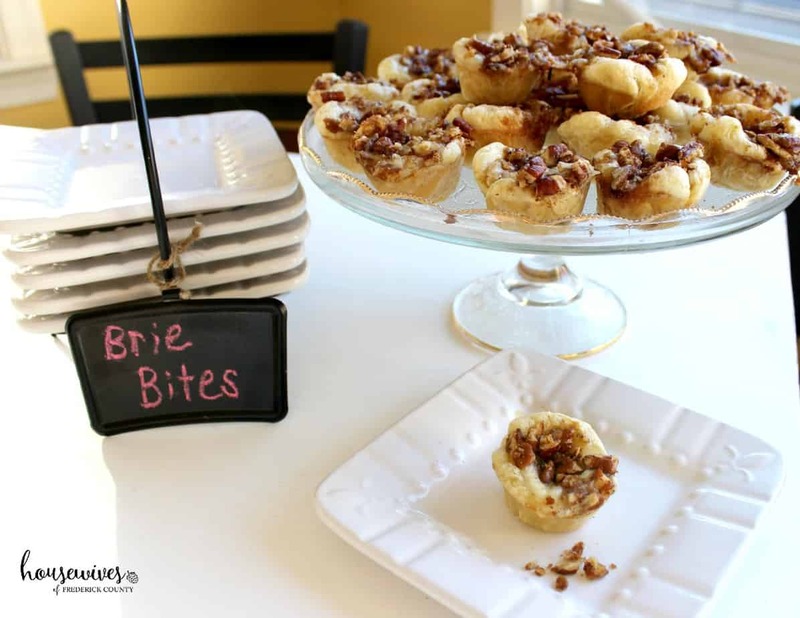 And, these brie bites are so yummy looking!! Now I’m going to use your recipe the next time I make a brie appetizer!! 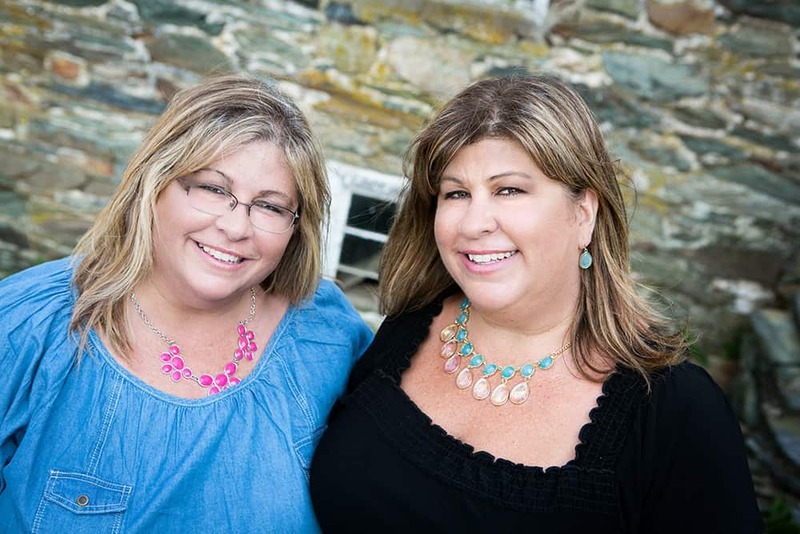 Thank you Pam! !